Childhood photo of the latent sadistic monster. 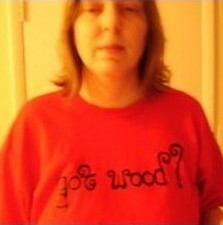 She claimed she was abused as a child. Of course this gives her the right to abuse others. 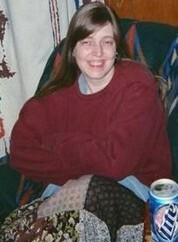 Photo of Cynthia Jean Dale-Harvey, Gestapo of fear, relaxing at home before embarking on another campaign of Internet fear and terror. Would you want this fruitcake around your child? The face of evil. Compare to Ilse Koch below. Here is Cynthia in her neo-Nazi uniform waiting for her next victim. 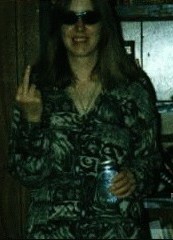 look alike of Cynthia Jean Dale-Harvey. 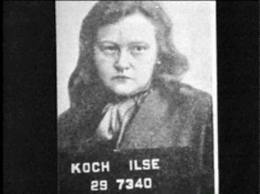 Ilse Koch was one of the first prominent Nazis to be tried by the US military. 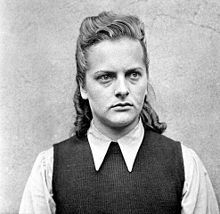 After the trial was remitted under worldwide media attention, survivor accounts of her actions resulted in other authors describing her abuse of prisoners as sadistic, and the image of her as "the concentration camp murderess" was current in post-war German society.